Protected Bicycle Lanes/Madison Avenue Traffic Calming – As a founding member of the Protected Bicycle Lane Coalition, promoted protected lanes. South End Bikeway Link – Develop and promote a protected bicycle link between the new Albany County Helderberg-Hudson Rail Trail and the Albany waterfront/Mohawk-Hudson Bike-Hike Trail. Albany Bicycle and Pedestrian Advisory Committee – Represented and advised on bicycle issues. Albany Police Department Traffic Safety Committee – Represented and advised on bicycle issues on the Education, Enforcement, and Engineering Subcommittees. Livingston Avenue Bridge Coalition – Promoted reopening of walking and cycling pathway over the Hudson River railroad bridge. Capital District Transportation Committee/Bicycle and Pedestrian Committee – Regularly involved in promotion, public policy, and planning activities. Albany Common Council – Advocated on various issues, including Protected Bicycle Lanes, Madison Avenue Traffic Calming, Complete Street Ordinance, and Albany Medical Center Hospital Garage. Transport Troy – Supported Troy group advocating for sustainable transportation and bicycle routes. Keys to the City Hill Climb – Held the first “Keys to the City Climb” in Lincoln Park area (9/6/14). Cranksgiving Ride – Participated in annual food drive ride (11/22/14). Daily Grind-to-Daily Grind Ride – Hosted the 7th annual sponsored ride between Albany and Troy coffee shops (8/16/14). Earth Day Bicycle Ride – Promoted cycling and environmental awareness in the city (4/22/14). Holiday Lights in the Park Ride – Promoted and participated in charity ride through the lights. Introduction to Cycling – Conducted workshop for NYS Tax and Finance agency staff. Monthly ABC Meetings – Open to the public, last Thursday of every month, LaSalle School. 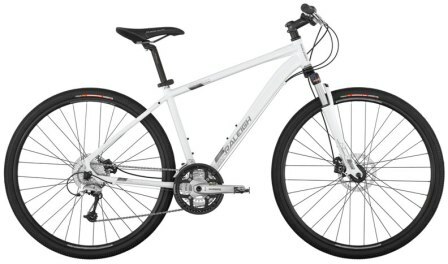 albanybicyclecoalition.com – Website updated regularly with timely BLOG posts. League of American Bicyclists – Affiliate member. 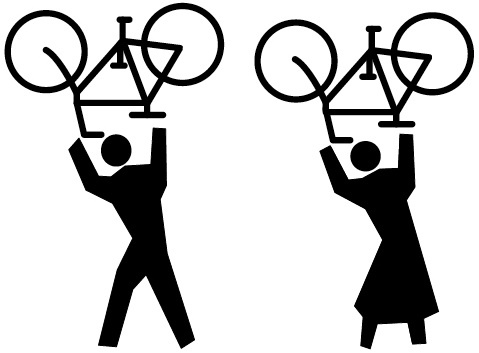 New York Bicycling Coalition – Affiliate member. Parks & Trails New York – Corporate sponsor. We were pleased to see growing momentum for returning the Livingston Avenue Rail Road Bridge to its original configuration combining train, bicycle, and pedestrian travel over the Hudson. Albany Bicycle Coalition has joined with the Livingston Ave. Rail Road Bridge Coalition and others to support this effort. As reported in Albany Times Union (1/28/12), Mike Stammel, Rensselaer County legislator, is proposing legislation to give a push to his side of the river. What are we doing on the west bank? Bryan Fitzgerald, TU Staff writer reported that Mr. Stammel will introduce a resolution to restore a walkway on the Bridge. For reference, this will connect directly to the Mohawk-Hudson Bike-Hike Trail facilitating access to Albnay, Troy, Watervliet, and points north and south as well as opening up Rensselaer County to recreational and commuter riders. This is not asking for anything new as the bridge always had a walkway. The dilapidated walk/bikeway closed in the early 1990s. Reopening the bridge to cyclists and pedestrians will draw tourists. The rotating bridge was built in 1866 and rebuilt in 1901. A project to replace the bridge has been in the works for years, but has stalled over lack of funding. At the Albany Bicycle Coalition’s October monthly meeting, participants jointly signed the attached letter to Major Jerry Jennings in recognition of the Delaware Ave. project – Albany’s first major street rehabilitation to include shared lanes for bicyclists. We in Albany’s bicycling community note with great pleasure the results of the soon-to-be-completed Delaware Avenue refurbishment. The new-shared lane markings and the “bicycles may use full lane” signs pave the way for a new dawn in Albany as a bicycle-friendly community. These bicycle amenities on Delaware open up the city to the suburbs with the promise of even more cyclists taking to the road. These changes support the resurgence of Delaware Avenue as an Albany Gateway and residential and commercial success. The other bicycle-related changes in the city – shared lanes and signs on Washington and New Scotland Avenues, bike lanes on Clinton, the new bicycle racks throughout the city, and the Capital Coexist educational program – reinforce what has been done on Delaware. Hopefully, these are but the first steps toward a citywide network of bicycle routes as outlined in the December 2009 Albany Bicycle Master Plan. We commend you, the various city officials and departments, the design consultants, the Delaware Area Neighborhood Association, the merchants, and the Common Council for all your efforts on our behalf and behalf of those who desire a livable community.